Ukranian PetCube appeals to a large audience. Its core product, a gadget to play with pets remotely, must have filled the need for many working pet owners to care about the well-being of their furry companions at the time they are away. According to AIN.ua, having launched its KickStarter campaign last week, the startup reports raising the required sum of $100,000 in less than a week. That will enable them to finance serial production of the product, which will be sold at $199 ($99 Euros for pre-orders on KickStarter). The toy includes a laser, that the cat or a dog may like to chase, a video camera to see the action, and a microphone, included in a cube. 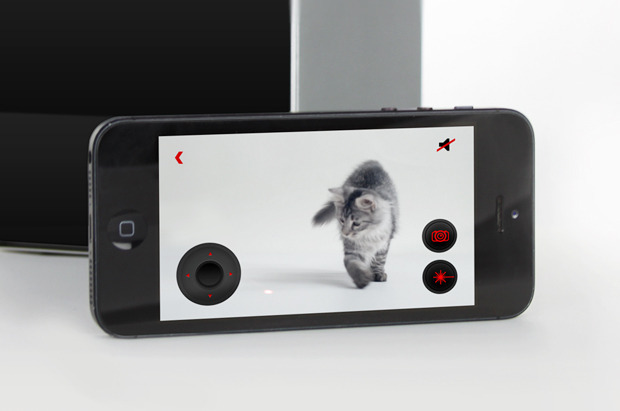 The users can operate the toy using a smartphone, monitor the pet and talk to him using the speakers installed within the PetCube. The first shipments will take place in May 2014.